This battery pack has become an essential part of my daily carry since I bought it last February. I live and work on my iPhone 6 and there are times when I need to be powered up, no matter where I might be. 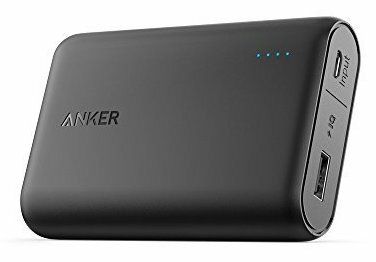 This Anker Powercore has so much power I don’t think I have ever actually ran it flat out of power. It is a great peace of mind to have power available no matter where I might be or what I need to do. I have also used this power pack to run Arduino microcontroller projects and help my GoPro camera through a long time-lapse or other filming. It is so versatile and can power anything that takes a USB connector.